Get into gear for spring! 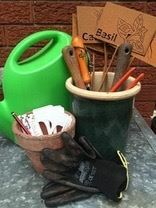 Give your gardening tools a good “spring clean”! Come to the Willoughby Local Group sharpening workshop led by our highly experienced Alasdair Stuart. What you need to bring: lots of smiles and a sharpening stone. If you havern’t got one, below is a link to one you can buy at Bunnings for $14.